Tech conglomerate Google had a big showing at the company's recent Google Event, and among other big headlines was the announcement of an all-new Chromebook called the Google Pixelbook. 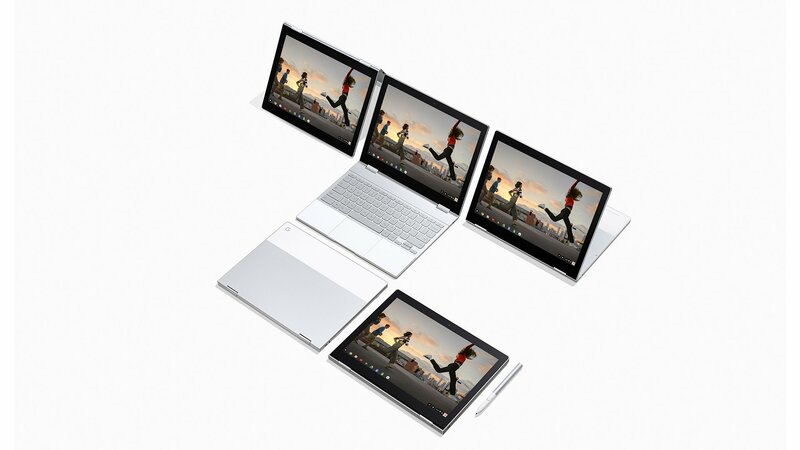 Unlike many Chromebooks on the market, the Pixelbook is designed to be responsive, robust, and sleek, mainly thanks to the laptop's screen, which can swivel 360 degrees in order to present tablet-like functionality. It still isn't a full-fledged laptop, mind you, but the Google Pixelbook has more than enough features to appeal to PC consumers and mobile fans alike. Read on to discover the biggest features of the Pixelbook as well as its price, release date, and where it can be preordered. By far the biggest feature of the new Google Pixelbook is its adaptability. 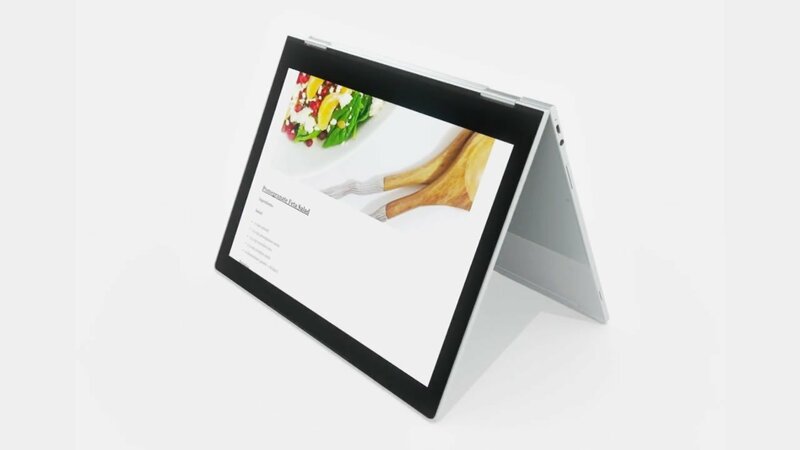 The device features a screen that can be used in traditional laptop-style or tablet-style form, which works toward the modern preference for touchscreen controls. Even better, the Pixelbook is the first device that allows users to make use of Google Assistant, simply by pressing a special button or by saying "OK Google." Everything that Assistant does works with the Pixelbook, and that includes smart home features and compatibility with a range of Wi-Fi connected devices. The cherry on top of all these features is the Pixelbook's compatibility with Android apps. Google has been working on this functionality for a while, and the results speak for themselves -- whether in windowed mode or full screen, Pixelbook owners can run just about any standard Android app, be it social media front-ends, games, or otherwise. This also means that the Pixelbook should be able to use new keyboards, alternative camera apps, and evade the need for software like Silverlight by running Netflix and other apps in their standard Android forms. All of this is to say nothing of the nature of Chromebooks, which relies on an internet connection to provide a steady and stable suite of Google-backed software without the need for expensive or extraneous programs. It won't run Steam, for instance, but outside of specific Windows applications, there's not much that a Chromebook can't do. Considering its substantial price tag, the device itself is no slouch when it comes to tech specs. 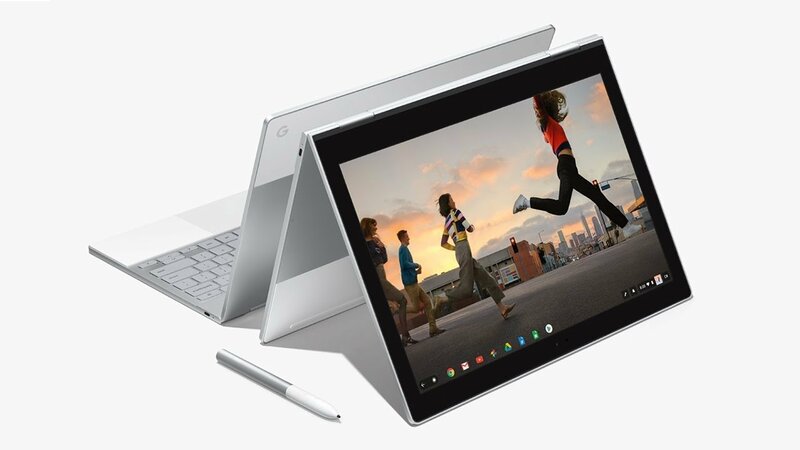 The new Google Pixelbook offers 7th-generation Intel processors, up to 16GB RAM, solid state storage from 128GB up to 512GB, a 12.3" LCD touchscreen running at 2400x1600, and a built-in camera that can record 720p video at 60 frames-per-second. All of this hardware is housed within an aluminum unibody shell that's less than half an inch thick, and the entire system weighs just 2.45 pounds. Google didn't skimp on bells and whistles, either. The chiclet-style keyboard is backlit for greader usability, the battery should last around 10 hours for general use, the charger is a modern standard USB-C connection, support for Bluetooth 4.2 is included, and unlike the new Pixel 2 phones, the Pixelbook does include a standard 3.5mm headphone jack. Users can also perform a host of special functions using the new Pixelbook Pen, a smart stylus designed in collaboration with Wacom that integrates with the Google Assistant to perform basic searches or identify on-screen information. Naturally, all of this tech doesn't come cheap. The standard version of the Google Pixelbook comes with an i5 processor, 8GB RAM, and a 128GB SSD for $999.99. Users who want more storage can go up to a 256GB SSD for $200 more, and those who want the most robust system available can wait for Google to release the i7 version that comes with 16GB Ram and a 512GB NVMe SSD, though they'll have to pony up a total of $1,649.99 -- a price that doesn't include the $99 Pixelbook Pen. Though the Google Pixelbook is currently only available for preorders at a few locations, interested buyers shouldn't have any trouble ordering one through Abt, B and H, Best Buy, or Google's own Google Store. Better yet, the device is set to ship soon, as the Google Pixelbook makes its formal debut later this month on October 31. Jonesing for more high-tech goodness? Be sure to check out Modojo's Best Accessories page, where we've highlighted a number of goodies like headphones, Bluetooth speakers, cases, and more.